The Tampa family & estate planning lawyers at Bubley & Bubley, P.A. are dedicated to meeting the needs of clients in family law, business law, estate planning, real estate and civil litigation. Since 1992, our Tampa family law, divorce and estate planning lawyers have been establishing and maintaining relationships with individuals and families from all walks of life, from employees to business owners, from young couples to retiring grandparents. No matter where you are coming from or where you are at in your life, we are here to help you with the legal matters that matter most. Bubley & Bubley, P.A. is centered around three main areas where we find our clients have both immediate and long-term legal needs. Importantly, these areas of the law tend to interact and have ramifications on each other. Having a law firm who are experienced and familiar in the issues that arise in these areas of law greatly benefits the client, who receives practical advice that looks at the “big picture” and looks after their overall best interests. The Tampa family lawyers at Bubley & Bubley, P.A. 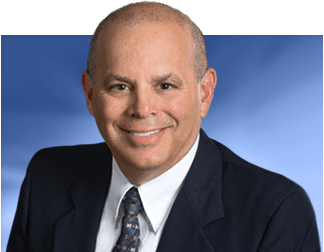 focus on family law, divorce, estate planning, and business and corporate law, and also excel in providing practical advice and representation in Tampa real estate and civil litigation matters. The personal approach our attorneys take with each client ensures that your voice will be heard and that your needs and desires will be at the forefront of your Tampa family law matter. We help clients going through divorce with every aspect of the dissolution of their marriage, including vital issues of child custody and visitation (parenting and timesharing), spousal support/alimony, and the division of marital property. We help Tampa families through the difficult process of establishing a guardianship for a beloved family member, and we represent parties in contested paternity proceedings. From prenuptial agreements to post-judgment modification and enforcement, count on Bubley & Bubley, P.A. for all of your family law needs. Our Tampa estate planning lawyers are well-versed in all aspects of Florida law on wills, trusts and probate. We can help you protect your assets today while planning for your future, including retirement and long-term care planning, and also ensuring that you are able to leave a lasting legacy to future generations. Visit our page on Tampa estate planning to learn more about the options available to you and how we can help you draft or revise a comprehensive estate plan that meets all of your needs. Our estate planning law firm also provides sound advice and efficient representation in Tampa probate and estate administration. From business entity formation to daily corporate governance and regulatory compliance through business succession or dissolution, our Tampa business, commercial and corporate lawyers work directly with you to protect your business interests and help you reach your goals. Whether you need an attorney to review a legal document, or a law firm to act as your general counsel on a regular basis, we are here when you need us. See our Tampa business law page for more information. We handle all aspects of residential and commercial real estate transactions, from negotiating a purchase, sale or lease to conducting title searches and providing representation at closing. As experienced litigators, we also represent owners, developers, landlords, tenants and homeowner associations in all the legal matters affecting their property, including rent, warranties, assessment collection, property line disputes, construction defects, title defects and more. Our experienced trial lawyers represent parties in the full range of civil litigation, including business contract disputes and business torts, consumer fraud, personal injury caused by negligence or intentional misconduct, and much more. When you have a civil dispute that requires formal legal intervention to work out, our attorneys can help resolve the matter in the most efficient and cost-effective manner. Whether your matter can be decided through negotiation, mediation, or arbitration, or if trial is the most effective means of protecting your rights and promoting your interests, Bubley & Bubley, P.A. has the skill and experience to provide sound advice and effective representation. 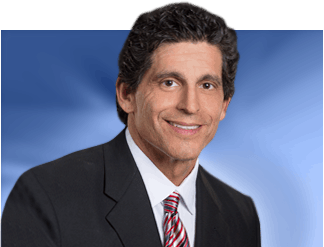 Our Tampa sports lawyers represent athletes in contractual and related matters. We continue to represent athletes in the transition from their professional career to the future business opportunities that await them. Contact our experienced Tampa sports law attorneys today. Below are answers to some of the questions the attorneys at Bubley & Bubley, P.A. hear most frequently as we advise and represent people throughout Tampa in the areas of family law, estate planning, business law and real estate. If you are like most people, you probably have a lot more questions about your particular legal concern. Call 813-454-0261, or contact us online to schedule a consultation with experienced lawyers who can answer your questions and help you with your legal needs. Q. What does it take to make a valid prenuptial agreement in Florida? A. To be valid in the state of Florida, a prenuptial or premarital agreement must be in writing and signed by both parties. The agreement can concern topics such as the rights of the couple to marital and separate property, the making of a will or purchase of an insurance policy, and the payment of alimony or spousal support. Subjects such as child support or custody may not be part of a valid agreement. A prenuptial agreement becomes valid upon marriage. In order to be enforceable, the prenup must have been signed voluntarily without any fraud, duress, coercion or overreaching, and the terms of the agreement must not have been so one-sided when they were made that the agreement is “unconscionable.” Also, before signing each party must have been provided with a fair and reasonable disclosure of the property and debts of the other party, unless the party waived this right in writing. A party who can prove noncompliance with the above facts may keep the agreement from being enforced in court. Q. What does it take to make a valid will in Florida? A. The person making the will, known as the testator, must sign the will at the end of the document. If the testator cannot sign it, another person may sign for the testator at the testator’s direction and in the presence of the testator. At least two witnesses must be present and witness the testator’s signature or acknowledgement by the testator that the will was previously signed by the testator or another person at the testator’s request. The witnesses must also sign the will in the presence of the testator and in the presence of each other. Q. Is it better to form a corporation or a partnership when starting out in business? A. Whether you choose a corporation or a partnership will affect many aspects of the business, including whether you can be held personally liable for the debts of the business and how much income tax you and the business will be subject to. Issues such as who has authority to make daily business decisions regarding the operations of the company can also be impacted by the type of structure you select. There are many different forms of businesses allowed under Florida law in addition to corporations and partnerships, including limited liability companies and limited partnerships. To find the structure that is right for you personally, sit down with experienced business law attorneys to discuss your goals and review your options for business entity formation. Q. How does a Family Limited Partnership work? A. A Family Limited Partnership, or FLP, is an estate planning tool that is used as a way to transfer assets from one generation to the next without having to go through probate and also at a significant tax savings to the partners. The FLP may contain real property or a business or other assets intended to be passed from one generation to the next. The older generation acts as General Partners with management and control over the property, while the younger generation serves as Limited Partners who do not control the property yet receive a substantial interest in the assets. Q. How does a Reverse Mortgage work? A. Homeowners who are 62 years old or older may receive cash in exchange for the equity in their home through a home equity conversion loan, also known as a reverse mortgage. The homeowners are not required to make any payments on the mortgage, either in principal or interest, so long as they are living in the home. A reverse mortgage may be attractive to seniors with substantial equity in their home who want to stay in the home but find that their savings and retirement are not enough to get by on, or who need cash to face a sudden expense for themselves or a family member. However, a reverse mortgage does lower the value of the estate and may not be the best overall decision in light of other options, such as a home equity line of credit (HELOC) or a conventional mortgage. The attorneys at Bubley & Bubley, P.A. are practiced in the areas of real estate, business law, estate planning and family law and can help you make the decision that makes the most sense to meet your immediate needs and long-term goals for yourself and your family. Martin A. Bubley and Daniel B. Bubley are at your service. When you retain Bubley & Bubley, P.A. for your legal needs, Marty and Dan are with you every step of the way, from your initial meeting through trial or other resolution of your legal matter. We understand that you hire us to do the work you need, and we deliver on that expectation. We answer the phone when you call, we schedule your appointment with you, and we are here for you whenever you need us throughout the course of your representation. We believe that you deserve a high level of personal service from your Tampa family, divorce or estate planning lawyer and that you shouldn’t settle for anything less. In Tampa, call 813-454-0261 to talk with one of our lawyers today. We look forward to answering your call and helping you with your legal needs.